Hello and welcome. If, like me, you’ve not only noticed, but are alarmed by the corporate takeover of our once-cherished institutions that made the American Republic great—the economy, government, education, and the two main political parties in particular—then you will find this website to be a source to contribute to the dialogue about how to gain it back. The articles, book chapters, articles, and essays on this site chronicle the downward slide from democracy to authoritarianism, and possible totalitarianism. The next step is to keep track of the slide and to come up with alternatives that will return notions of common good and citizenship back to the institutions which so blithely destroyed it. Click here for more detail. Your contribution to the dialogue is not only welcome but important! Discussion with a view toward solutions to the rise of neo-fascism in the United States is imperative to restoring democracy. The solution starts with you and me, in discussion, dialogue, and activities to reclaim our common institutions that were built to serve us, not the elites who now run them. The thesis of this book is that there is a rational mode of cognition at work in our deepest moral and political convictions. This mode of cognition is irreducible to language or to simple body-based interaction with the world. The aim of the book is to demonstrate the contours of a theory of justice that takes this cognitive fact into account, and to open an avenue of discourse along more rational lines than we currently see from our political leaders, both locally and nationally. Risks World War III: Preview a chapter on Ukraine here. In the chapter written for this book, Dr. Abele argues that any U.S. meddling in Ukraine is a violation of both the norms of justice and of international law. 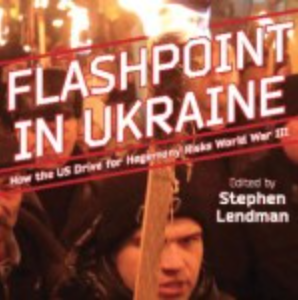 While Russia and other parties were also at fault, legally speaking, for the Ukrainian civil war, the focus is on U.S. actions, since the rest of the book is written from that viewpoint. 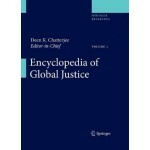 Encyclopedia of Global Justice: Read an expert from this book here. 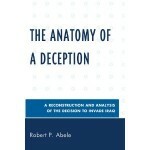 The Anatomy of a Deception: Preview chapter 5 of this book online here. This book is a reconstruction of the public dialogue that ended with the United States invading and occupying the sovereign nation of Iraq. The focus is on thinking critically about going to war by examining what the public debate was concerning the invasion and occupation of Iraq. It is argued here that the public case made for invading Iraq showed itself at that time to be a manipulation of evidence for a predetermined conclusion. 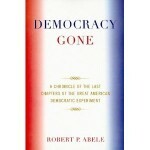 Democracy Gone: A Chronicle of the Last Chapters of the Great American Democratic Experiment: Preview the table of contents and preface of this book online here. Has the American democratic experiment run out of steam? Have we replaced our democracy, through our inattention to it, with politicians lustful for power, with a form of centralized authority so out of touch with the needs of the common people that it is hardly accurately described as a true democracy anymore? It is the thesis of this book that our democracy has largely evaporated, and has left behind only an exoskeleton that once was its original vertebrate of ends and principles. The theme and call of this book is that it is critical to democracy in the United States that citizens once again become active participants in the issues of the day. Nothing less than the reclamation of our democracy is at stake. 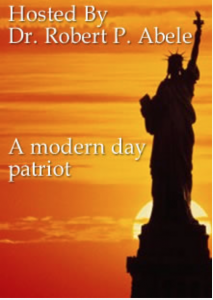 A User’s Guide to the USA PATRIOT Act and Beyond: Preview chapter 4 of this book online here. 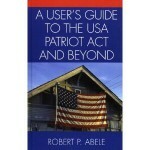 A User’s Guide to the USA PATRIOT Act and Beyond examines the controversial USA PATRIOT Act, passed by Congress six weeks after the horrific events of September 11, 2001. This new set of American laws allows the federal government broad powers to conduct surveillance on American citizens, in some cases without warrant and without judicial oversight. The book summarizes other programs put into operation to severely curtail the civil liberties of Americans, and other such programs and legislation that attack privacy, probably cause, due process, and free speech.